Download "A Center for VisionCare 4418 Vineland Avenue, Suite 106 North Hollywood, CA 91607 818/762-0647"
1 A Center for VisionCare 4418 Vineland Avenue, Suite 106 North Hollywood, CA / Alan I. Mandelberg, M.D. Donald I. Goldstein, M.D. 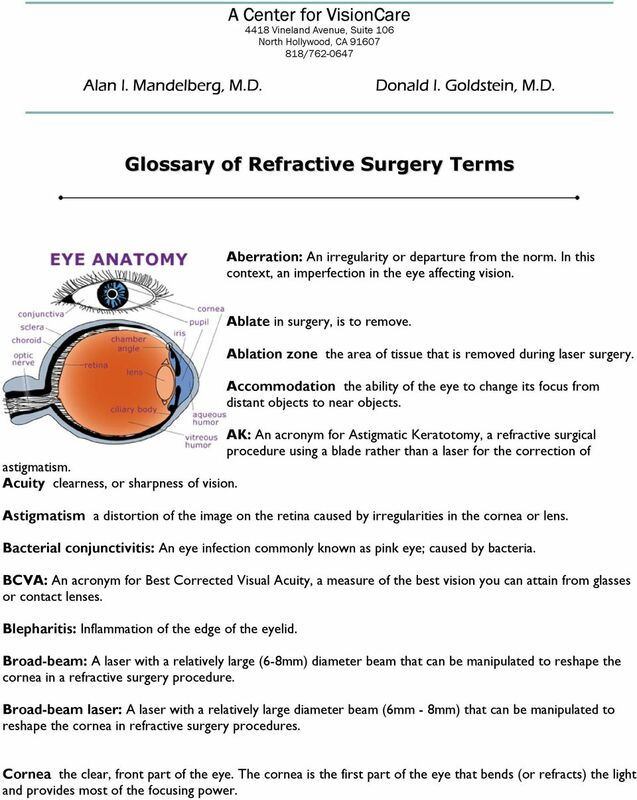 Glossary of Refractive Surgery Terms Aberration: An irregularity or departure from the norm. In this context, an imperfection in the eye affecting vision. Ablate in surgery, is to remove. Ablation zone the area of tissue that is removed during laser surgery. Accommodation the ability of the eye to change its focus from distant objects to near objects. 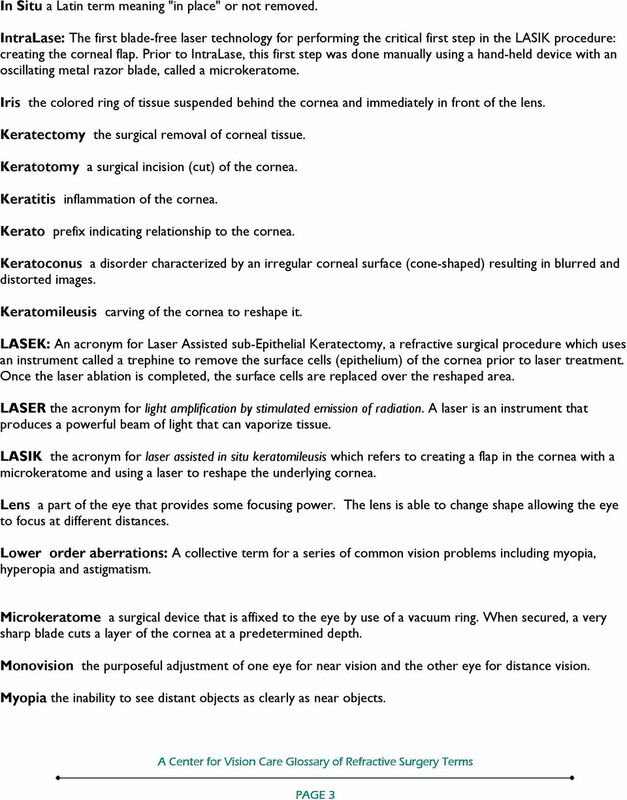 AK: An acronym for Astigmatic Keratotomy, a refractive surgical procedure using a blade rather than a laser for the correction of astigmatism. Acuity clearness, or sharpness of vision. Astigmatism a distortion of the image on the retina caused by irregularities in the cornea or lens. Bacterial conjunctivitis: An eye infection commonly known as pink eye; caused by bacteria. BCVA: An acronym for Best Corrected Visual Acuity, a measure of the best vision you can attain from glasses or contact lenses. 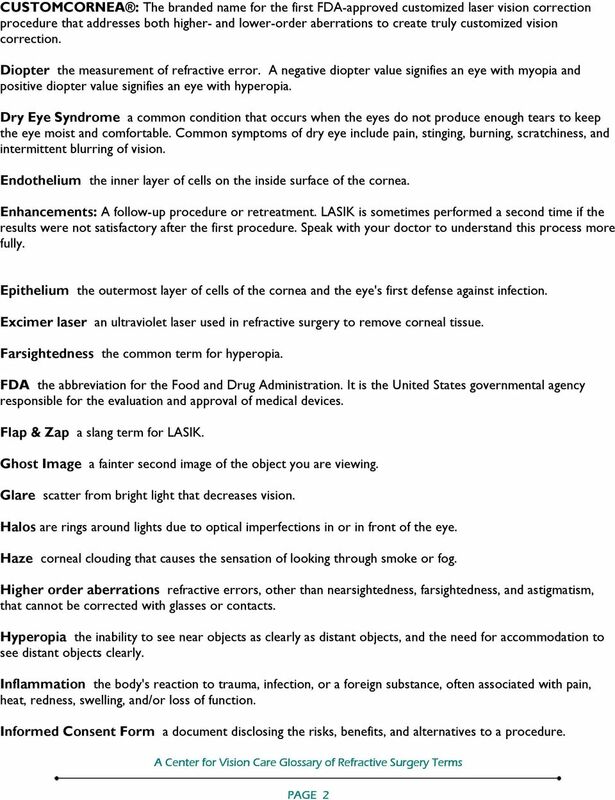 Blepharitis: Inflammation of the edge of the eyelid. Broad-beam: A laser with a relatively large (6-8mm) diameter beam that can be manipulated to reshape the cornea in a refractive surgery procedure. 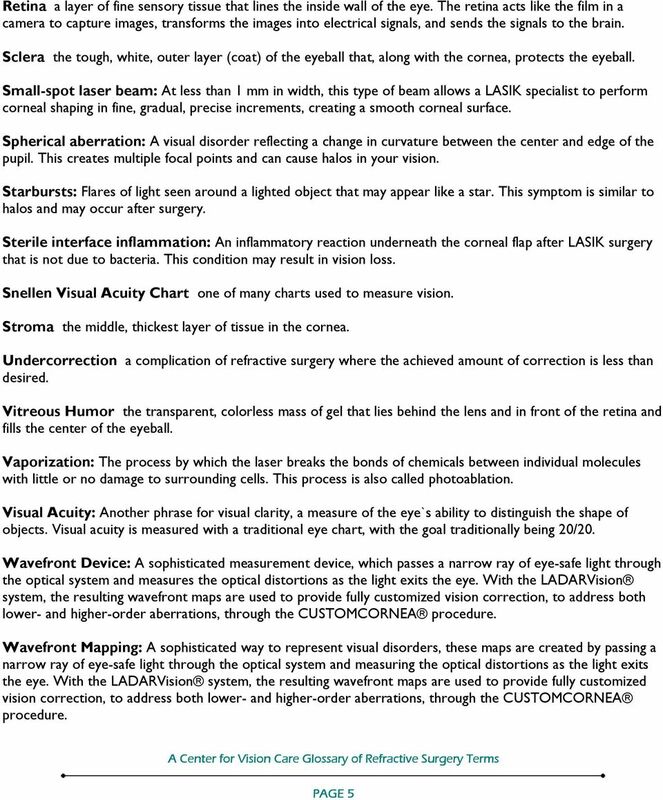 Broad-beam laser: A laser with a relatively large diameter beam (6mm - 8mm) that can be manipulated to reshape the cornea in refractive surgery procedures. Cornea the clear, front part of the eye. The cornea is the first part of the eye that bends (or refracts) the light and provides most of the focusing power. 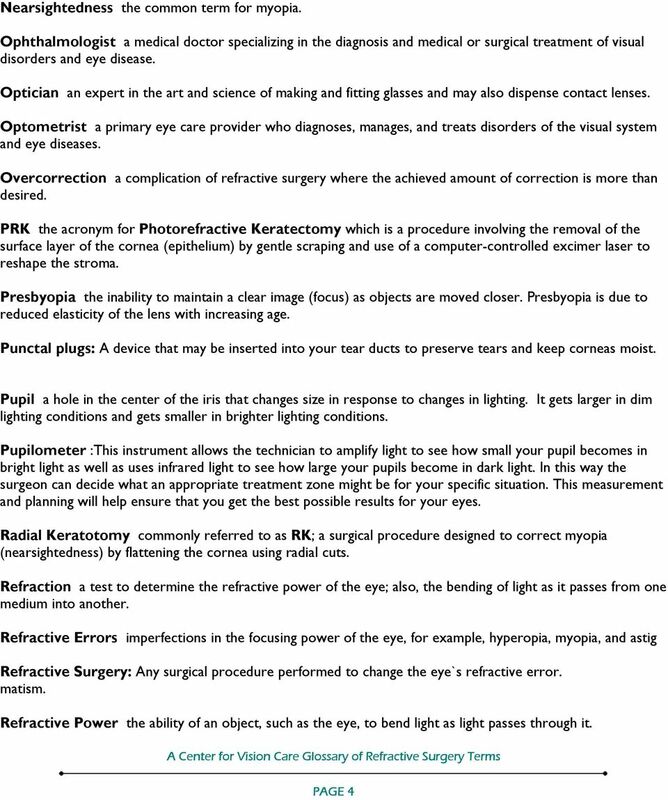 Conductive Keratoplasty Conductive Keratoplasty Until recently, if you were one of the millions of people with a refractive error, eyeglasses and contact lenses were the only options for correcting vision. A Patient s Guide to Understanding Your Life. In Focus.